Coal mine Colombia. Photo by Alejandro Arango. 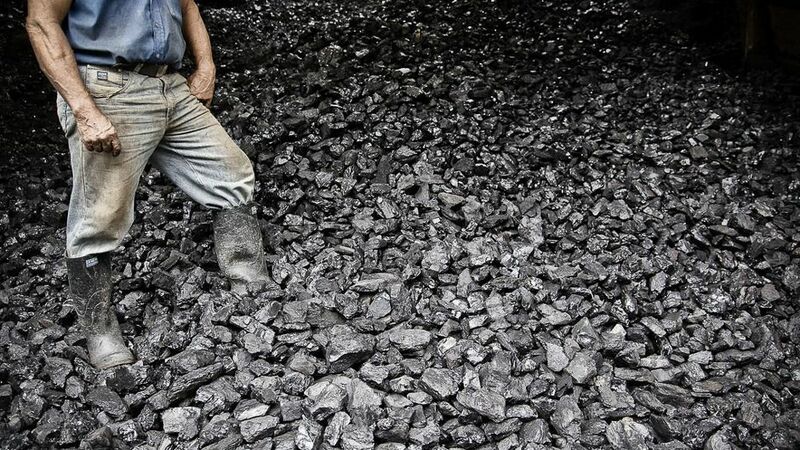 It is widely believed that industrial development in commodity-exporting low- and middle-income economies is hampered as a direct consequence of the exploitation of natural resources. Various reasons are given for this so-called ‘resource curse’. One is that these economies suffer from the ‘Dutch disease’ in which large resource rents and appreciating exchange rates undermine the traded goods sectors such as manufacturing. In addition, with respect to manufactures, commodities have undergone a long-term decline in their terms of trade, as well as being subject to high price-volatility. Hence, they seldom provide the regular and sustainable surpluses required to promote development. It has also been argued that, by their nature, commodity-producing sectors are enclave activities and have few external economies, and consequently that they involve few developmental spillovers to industry. These conventional wisdoms must be challenged. While there may be an association between commodity intensity and relatively low growth rates, this association is weak. Moreover, where it occurs, it is often due less to a causal relationship than to weak pre-existing industrial structures and inappropriate policy responses in commodity-dependent economies. Indeed, a review of the historical experience of some high-income economies — such as the United States, Canada, Sweden and Australia — shows that these economies not only built their industrial competences in part by developing linkages from the commodity sectors, but also that these industrial competences fed back into their commodities sectors, enhancing commodity recovery rates and reducing costs. Whatever the historical experience may have been, recent decades have seen three sets of changes that suggest that a new approach be adopted towards industrial development in commodity-exporting low- and middle-income economies. First, many of the policies that have delivered industrial progress in the past are now no longer as effective. Inward-oriented industrialization has been made less attractive by the reduced capacity to protect domestic industry, and by increased competition from imports. And third, the evolution of global value chains has led to a change in corporate policies whereby leading commodity firms have an active interest not just in outsourcing, but in near-sourcing the supply of many of their inputs. This suggests that now there are corporate strategic agendas that are diametrically opposed to the enclave mentality which characterized their activities in the past. In terms of how commodity-exporting economies may take advantage of these developments, it is helpful to look at the possible production linkages – backward in the supply of inputs, and forward in the processing of commodities. There are a number of reasons to believe that there is substantial scope for the expansion of production linkages between industry and commodities sectors. In part, this is because of the desire of leading commodity firms to increase their outsourcing, and in part because commodity production is invariably affected by contextual factors – climate and the geology of individual deposits. By necessity therefore, they require unique inputs and many of these can be used to promote distinctive local industrial (and agricultural and service) capabilities. In a context of increasing lead-firm outsourcing, many of these linkages occur as a natural consequence of market forces. The function of effective government policy is to both speed up and deepen these linkages. Disabling government policy, by contrast, slows down and reduces the extent of these linkages. The above is a summary of a working paper, Commodities for Industrial Development: Making Linkages Work, prepared for the United Nations Industrial Development Organization’s Development Policy, Statistics and Research Branch. Beyond the ‘resource curse’ by Raphael Kaplinsky is licensed under a Creative Commons Attribution-NoDerivs 3.0 Unported License. Based on a work at http://www.unido.org/fileadmin/media/documents/pdf/Publications/110905/WP012011_Ebook.pdf. Raphael Kaplinsky is a Professor of International Development in the Faculty of Maths, Computing and Technology at the Open University in the United Kingdom.